The Old Toll House, found on Clopton Bridge in Stratford-upon-Avon, was built 214 years ago in 1814. With its crenelated roofline and gothic windows, it is a major landmark and an extremely important Grade I Listed building. Operating as a Toll House for just 25 years, it was shut down in 1839 due to the lack of toll money. The building would have been taken down had it not been an integral structure of Clopton Bridge itself. Shortly after the Toll House was closed, James Cox moved his timber yard next door and the building became his office space. The timber yard closed in 1991, and since then the toll house has stood empty and has fallen into serious disrepair. It was added to the top ten West Midland’s Historic England’s Register of Buildings at Risk. 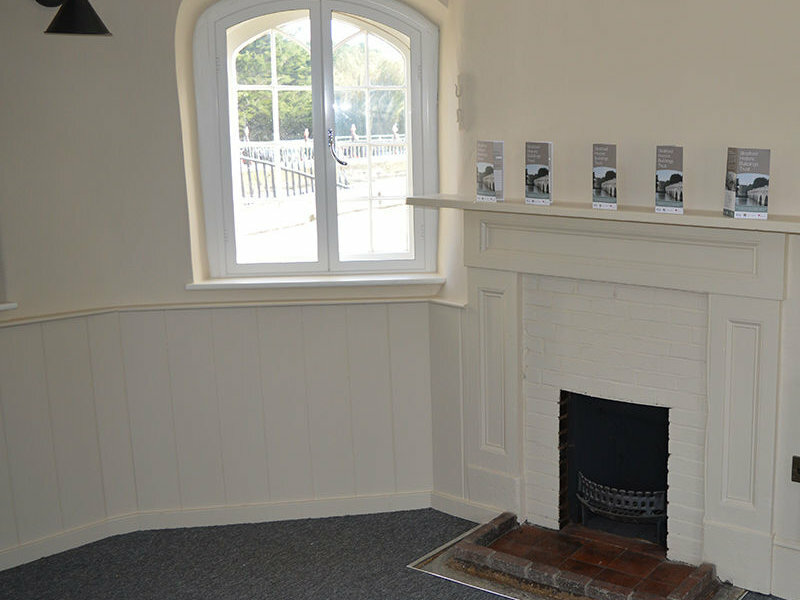 The toll house was saved by Stratford Historic Buildings Trust which had raised funds to renew and preserve the historic fabric of the building, providing it with a new use as visitor attraction and office space. The project has been awarded substantial grants from Historic England and the Heritage Lottery Fund, as well as a number of other trusts and charities. 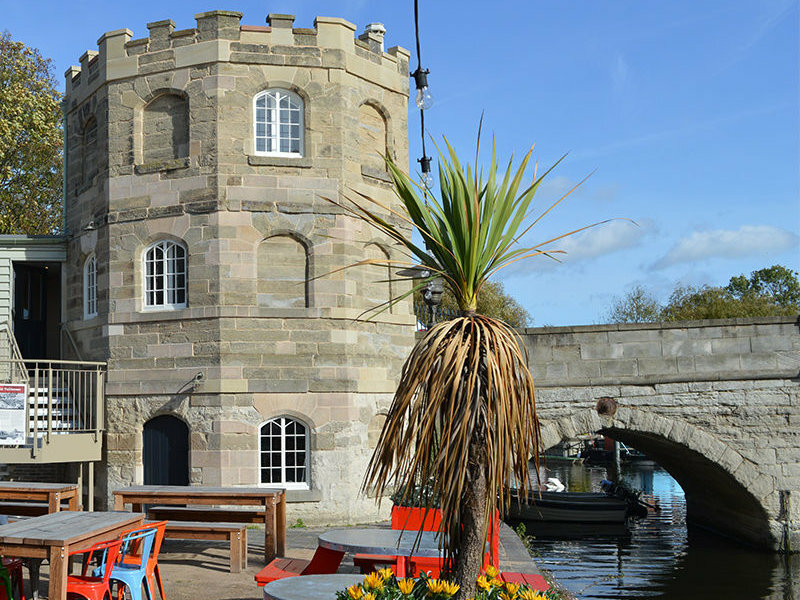 Historic building contractors Stone-Edge took on the project to restore and renovate the Grade I Listed Toll House. The project will include a public display area in the basement and the delivery of a range of activities to explore both the past of the Toll House and also the broader industrial heritage of Stratford, much of which was originally located along the River Avon and around the canal basin. 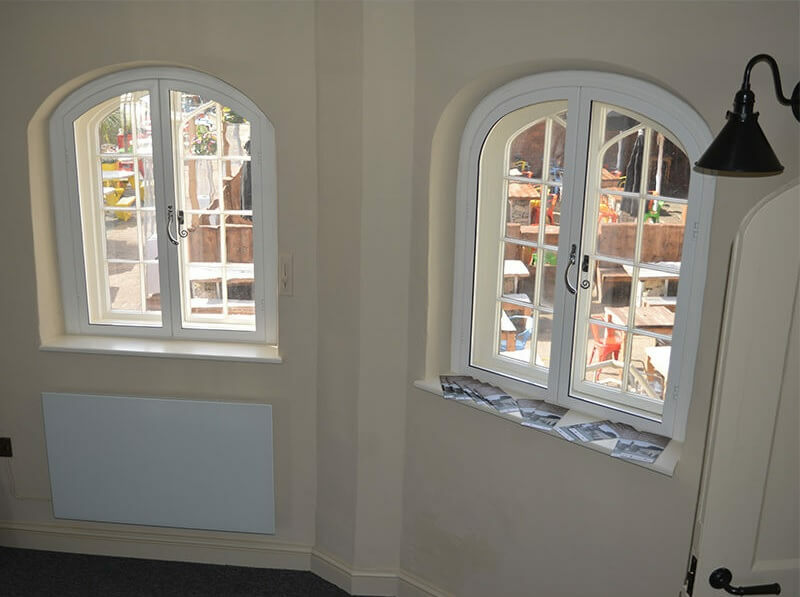 As part of the refurbishment, the original windows were removed and repaired ready for reinstatement. Considerable works were carried out to the stone reveals and openings. Damaged stone was replaced with Sandstone from Northumberland and Leeds. Even after a full refurbishment, the performance of the single glazed timber windows was deemed inadequate for modern needs. To help find a proper solution, Stone-Edge, together with Mark Evans Architects approached Selectaglaze, the UK’s leading supplier of secondary glazing. 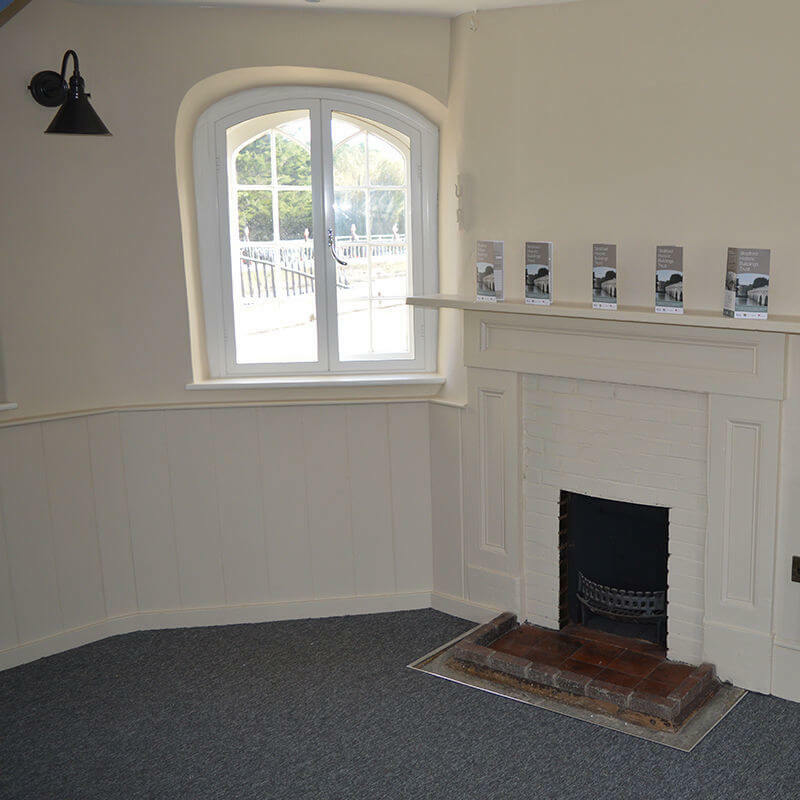 With a plethora of experience within Listed and Historic buildings, Selectaglaze was appropriately experienced to deal with the unique nature of the Old Toll House’s requirements. After a positive meeting with Stone-Edge, Selectaglaze proceeded to fix a total of 8 units on the ground and first floor of the Old Toll House. 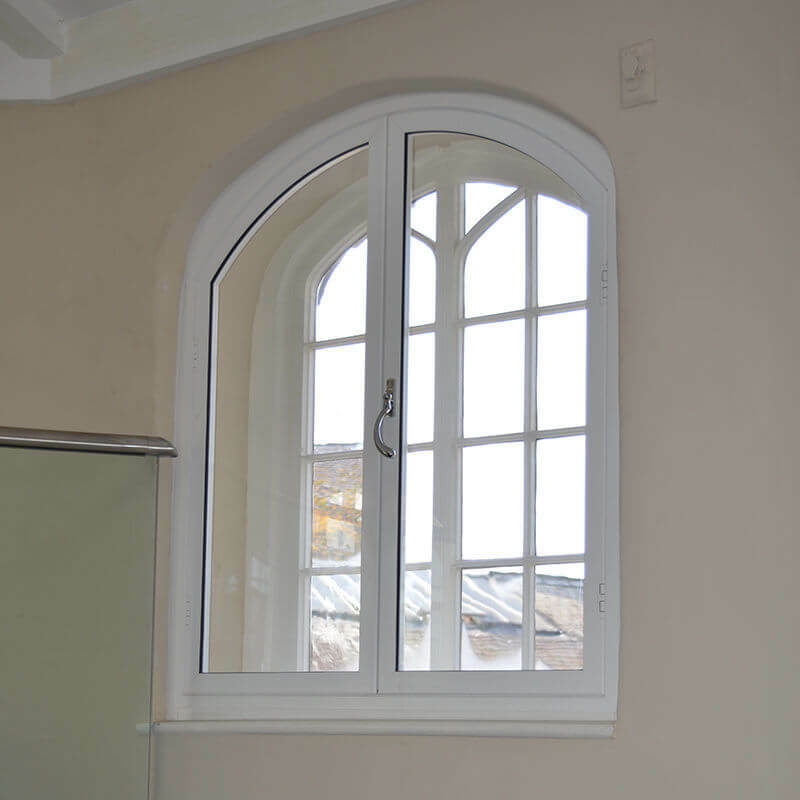 The original gothic headed curved casements look remarkable so it was critical that any secondary glazing treatment dealt with the visual impact in a sympathetic way. Selectaglaze Series 45 double side hung casement with matching gothic curved head was chosen. The results look amazing, they are barely noticeable from the outside, but the building now has all the perks of modern glazing. 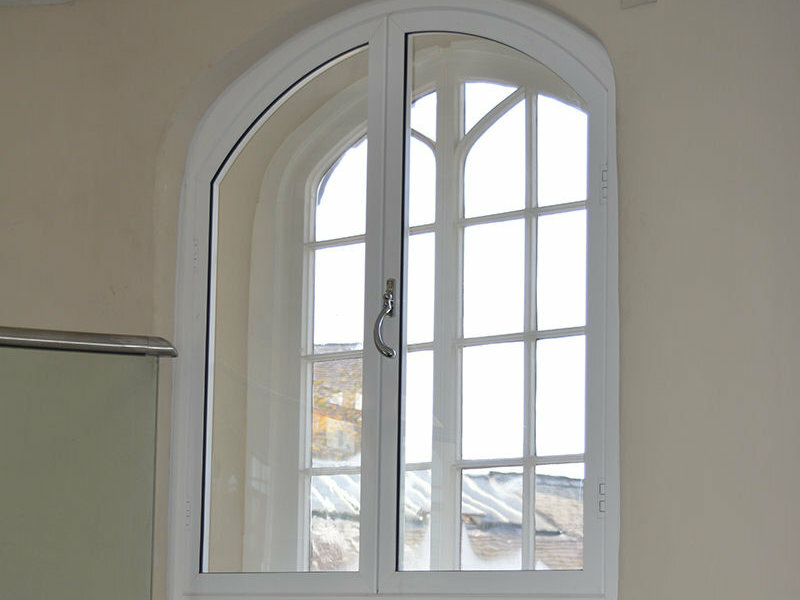 As it is a reversible adaptation, it is often the sole solution to enhance poor performing primary windows in Listed buildings and is acknowledged by most heritage bodies. Since the restorations have ended, project organiser Chris Rice has noticed the notable change in the acoustic insulation within the historic Stratford landmark. Thermally speaking, the building is a lot warmer, which will be the optimum environment for the incoming tenants, as well as for the new heritage hub. Founded in 1966, Royal Warrant holder Selectaglaze is a specialist in the application of secondary glazing within buildings from Listed museums to heritage attractions. Products are fully tested and assessed for performance and twice yearly quality audits are conducted through the company’s ISO 9001 accreditation and LPCB. Selectaglaze works closely with clients to guarantee their requirements are met to make buildings warmer, quieter and safer.